Give your AirWatch users the easiest and most secure way to print from all their devices to any corporate or home printer. Your users will never have to rely on their workstations for printing! Breezy was the first printing solution invited to join the AirWatch Connect program in 2013 because most computing devices are incomplete if the user cannot printing from it. 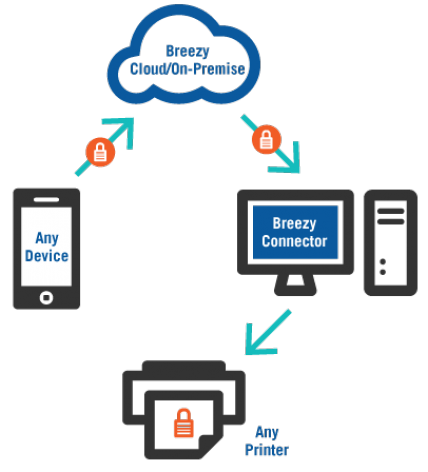 Breezy's industry-leading encryption and ease of use matched AirWatch's security and convenience provided through the app management program, to create a partnership that has benefited our mutual customers globally. 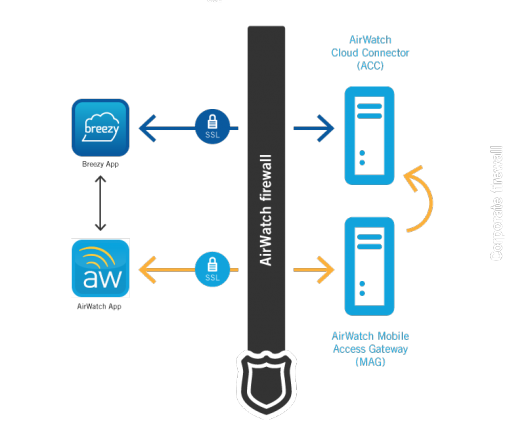 Single-Sign-On (SSO): Breezy auto-detects AirWatch on the device and enables the user to securely sign-in with their AirWatch passcode. Easy to deploy: Breezy can be easily deployed using AirWatch's console, so your users always have print capability close at hand. 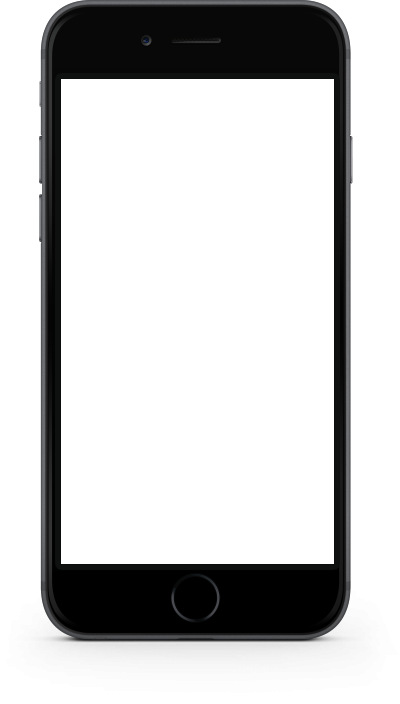 Breezy was designed from the ground up to be secure. User data is protected at all times, both in transit and at rest, using industry leading, AES-256-CBC encryption—and Breezy’s integration with AirWatch ensures that data never leaves the secure container on your device during the print process. DLP Policy Control: IT Admins can enforce AirWatch DLP, security, and authorization policies to control what users can share, edit and print.